Interlibrary Loan is a service of the Interlibrary Services department, (936) 294-1616, lib_ill@shsu.edu. All patrons picking up items in Interlibrary Services are required to show University ID (Bearkat OneCard). Newton Gresham Library patrons can use the ILLiad website to request items from other libraries. If you have never used ILLiad before, please click on the "First Time Users" link on the website and fill out the form. 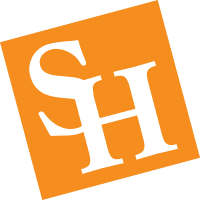 SHSU faculty may also use the ILLiad website to request that books and articles from the Newton Gresham Library be delivered to their office on campus or by email, via the Faculty>Direct service. If you are ONLY taking classes off the main campus or online, and you live outside of Walker County, you may also be able to use the ILLiad website to request that books and articles from the Newton Gresham Library be sent to you by mail or email. To apply, you must set up an ILL account for Distance Learners. You must activate this account each semester. If the Newton Gresham Library does not own a book or journal article you need, Interlibrary Services will make every attempt to provide that item through another source, usually another library. Most of the time there is no charge for an interlibrary loan. However, there is a place in the ILLiad request form for you to choose a fee limit, including free, in the event that the lending source does charge a fee. What is the procedure for requesting books or articles via Interlibrary Loan? Through ILLiad, the Interlibrary Loan system used by Newton Gresham Library, place a request for each item that you need. If help is needed, Library personnel at Reference can assist in locating the information needed to complete a request and/or determining if the material may already be available in or accessed through the Library. How long does it take and how will I know when the materials arrive? Please allow 1-3 weeks for the materials to arrive. Normally, requests received from Newton Gresham Library patrons are processed within 24 hours of receipt. The time it takes for an item to arrive depends on the lending library, so it is wise to plan ahead and allow sufficient time when considering an Interlibrary Loan request. Interlibrary Services staff will send you e-mail notification when a request has arrived. How do I pick up the requested material when it arrives? Materials can be picked up in the Interlibrary Services Office, Room 142, which is located on the 1st floor of the Library across from Copy Services. After office hours and on weekends, see Copy Services staff (Room 141) for access to Interlibrary Loan items. If I return an item after the due date, must I pay a late fee? Yes, for books borrowed through Interlibrary Loan, there is a $3.00 per item per day fine for overdue books. There is a two-day grace period in which overdue books can be returned without a fine; keep reading this page for more details on how the grace period works. The due dates for books borrowed through Interlibrary Loan books are set by the lending library and cannot be changed by Newton Gresham Library Interlibrary Services staff, so be aware of due dates and plan to return books on time! If you do need an extension of time, a renewal may be requested using your ILLiad account, keeping in mind that it is up to the lending library to grant or not. How does the grace period on late fees work? Date due + 3 Fines for all three days (A+B+C) will be charged. For example, an item due on the 10th of the month could be returned on the 11th or 12th of the month without penalty. However, if the item is returned on the 13th of the month, fines for all three days (11th, 12th, and 13th) would be assessed. Fines will then continue to accrue each day. How can I renew a book obtained via Interlibrary Loan? Since the lending library sets the due date, books received through Interlibrary Loan cannot be renewed without the consent of the lending library. If you need an extension, use your ILLiad account to request a renewal at least 48 hours before the due date. Generally the longest renewal time granted is for 2 weeks.